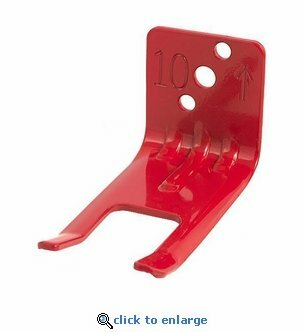 This fork style fire extinguisher wall hanger is designed for use with 5 - 13 lb. fire extinguishers with a metal valve body slot. The painted red finish assures many years of use and meets UL salt spray requirements (240 hrs. @ 20% salt solution – ASTM B117).